The teaser image that was posted on Weibo reveals an iPhone X-style display with a similar notch as that of Apple's flagship that more and more Chinese brands seem to be after these days. The VIVO V9 will have a 24 MP front camera, but there is no other piece of information to talk about at this stage. However, we expect a mid-range Qualcomm Snapdragon processor, 4 GB of memory or more, and a 2:1 display. 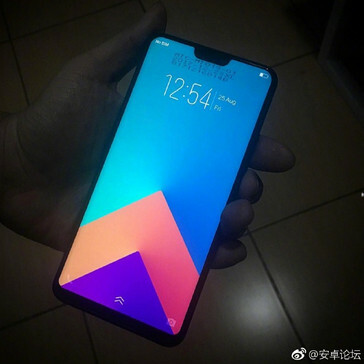 Although the upcoming VIVO V9 is not expected to integrate an under-display fingerprint reader or a pop-up camera, the handset that is rumored to hit the market as the direct successor of the mid-range VIVO V7 seems to target selfie lovers who do not want a flagship (or cannot afford it). According to a teaser image that recently surfaced on Weibo, the VIVO V9 will come with a 24 MP front camera. Unfortunately, it will also come with a notch that throws this handset in the ever-increasing pile of Chinese-made Apple iPhone X copycats. 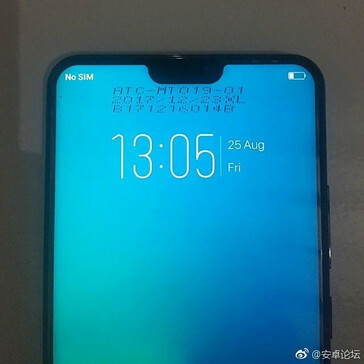 Two live images of what seems to be the same VIVO V9 show the notched display, but what draws the attention is the date on it: August 25. 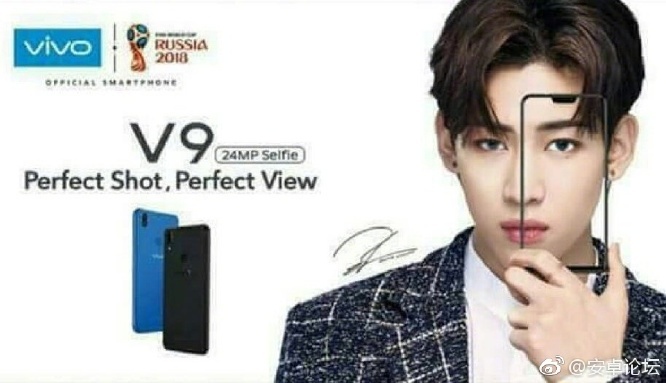 The VIVO V9 is expected to hit the market as the direct successor of the VIVO V7, which is also a handset aimed at selfie lovers. Powered by a Qualcomm Snapdragon 450 processor, the VIVO V7 has a 5.7-inch IPS display with 1,440 x 720 pixels, 4 GB RAM, a dedicated microSD slot and two SIM slots, a 24 MP selfie shooter and a 16 MP main camera on the back, all juiced up by a 3,000 mAh battery. Since the VIVO V7 arrived at the end of 2017, we expect its successor to bring only minor improvements here and there, mainly the notched display and a higher screen-to-body ratio, next to an updated processor and operating system. For now, all the above should be taken with a grain of salt, of course. We will let you know as soon as we hear anything new about VIVO's upcoming handsets, so stay tuned.